Several weeks ago we took out a single mom with her 4 boys. This was our 3rd charter with this family. Normally mom enjoys laying in the sun while the boys fish for dinner. This was one time mom got in on the action. Just as the captain was pulling in the anchor and the first mate went to pull in the lines, something snagged the line off the back of the boat. 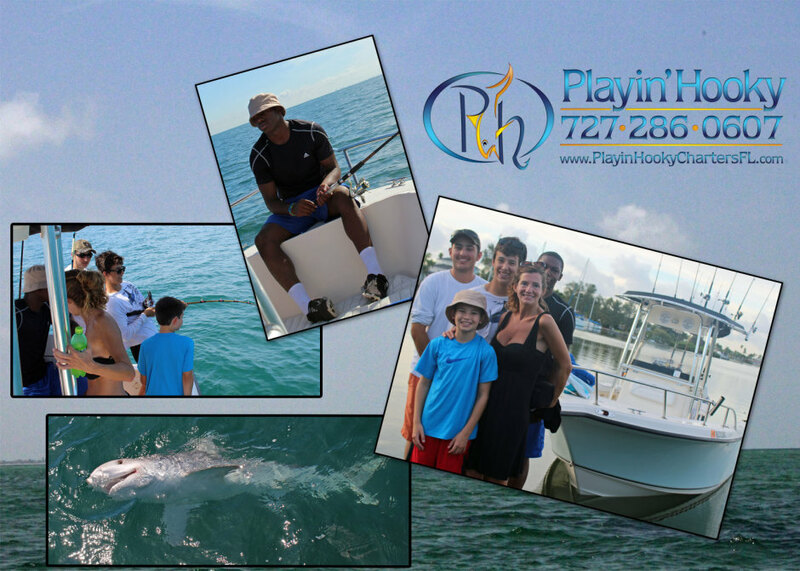 The whole family, including mom, got in on the 45 minute fight to real in an 9′ tiger shark. Since it’s shark week, thought I’d share some of my favorite shark stories!